VIDEO: Bengaluru FC’s Chencho Gyeltshen learns Kannada with Sportskeeda! 2018-10-24	Indian Super League Comments Off on VIDEO: Bengaluru FC’s Chencho Gyeltshen learns Kannada with Sportskeeda! Sportskeeda’s Aravind Suchindran teaches Bengaluru FC’s Bhutanese winger Chencho Gyeltshen some Kannada and even makes him sing ‘Santoshakke’, the song played after Bengaluru FC score at home. Football facilities in India tempted me, admits Bhutan’s Chencho Gyeltshen! 2018-09-07	Asia, I-League, Indian Super League Comments Off on Football facilities in India tempted me, admits Bhutan’s Chencho Gyeltshen! 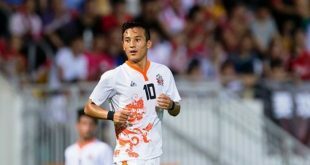 Chencho Gyeltshen signs with Bengaluru FC! 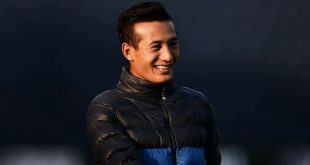 2018-06-25	I-League, Indian Super League Comments Off on Chencho Gyeltshen signs with Bengaluru FC! VIDEO – XtraTime: Bhutan’s Chencho Gyeltshen set to join East Bengal! 2018-05-08	I-League Comments Off on VIDEO – XtraTime: Bhutan’s Chencho Gyeltshen set to join East Bengal! Minerva Punjab FC’s Ranjit Bajaj told XtraTime in Kolkata that his clubs Bhutanese sensation Chencho Gyelthsen is set to join East Bengal for the new season. 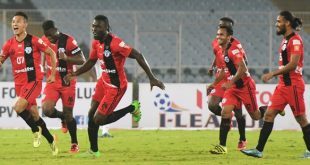 I-League: Chencho stars for Minerva Punjab FC in their 2-1 win at Mohun Bagan! 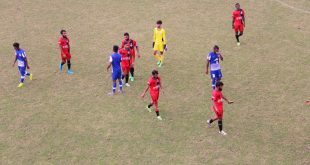 2018-01-10	I-League Comments Off on I-League: Chencho stars for Minerva Punjab FC in their 2-1 win at Mohun Bagan! Bhutan’s Chencho’s hattrick helps Minerva Punjab FC beat Bengaluru FC 3-2 in friendly! 2017-11-08	I-League, Indian Super League Comments Off on Bhutan’s Chencho’s hattrick helps Minerva Punjab FC beat Bengaluru FC 3-2 in friendly!